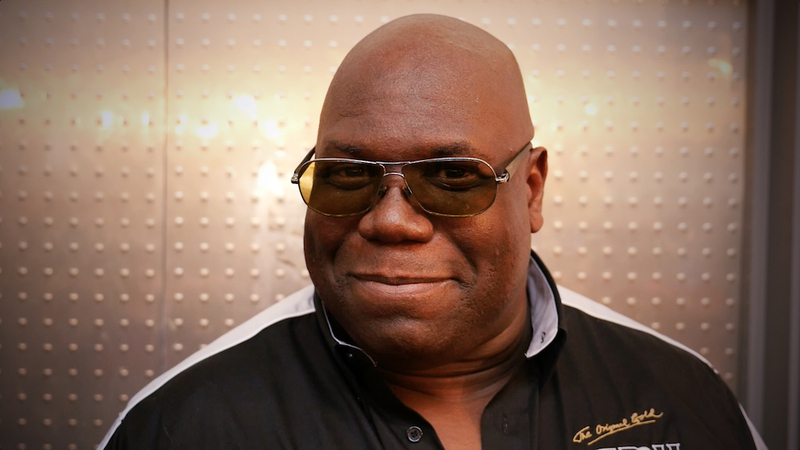 Carl Cox is arguably the world's most dedicated DJ. Born in Barbados but brought up in London, the larger-than-life selector has dedicated his entire adult life to the craft of mixing and collecting records. And despite his wildly successful career, he's never lost sight of his passion — playing music, breaking tunes and celebrating life. From humble beginnings as a scaffolder in South London, Coxy bought his first set of turntables at 16 and never looked back. From being the face of Space Ibiza for 16 years to mentoring the next generation of superstar DJs, Coxy will go down in history as the ultimate DJ's DJ, capable of seducing dancefloors with everything from chic-sounding disco to 140 bpm techno. 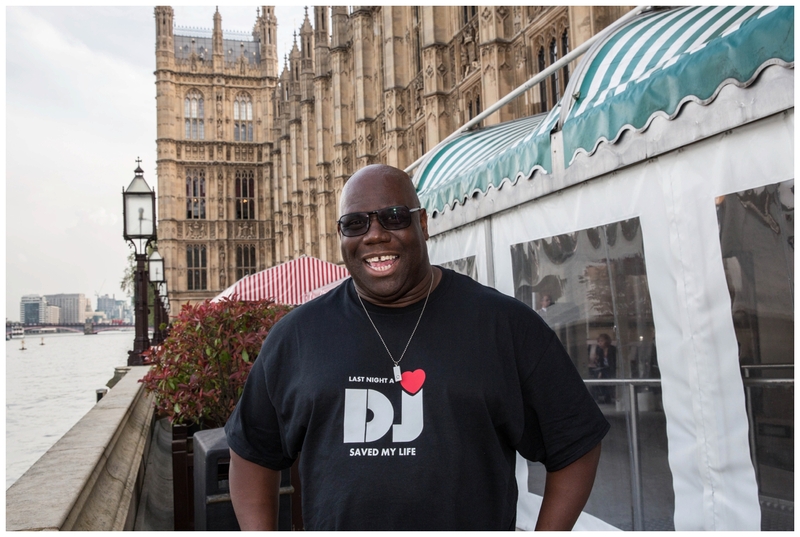 In 2016, Carl Cox played a DJ set at the House of Commons for a charity fundraiser called House The House by the LNADJ Foundation in aid of young people living in war zones. Not only did King Carl knock out banger after un-constitutional banger, one lucky DJ won the opportunity to warm-up for the don. That honour fell to 19-year-old Holly Louise, who became the first woman to DJ in the House of Commons after winning a nationwide competition organised by the foundation. 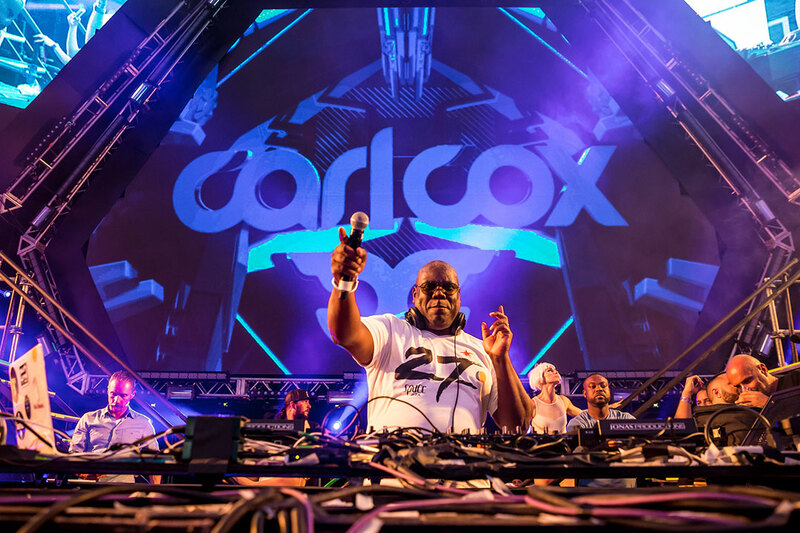 Carl Cox's appeal goes way beyond Ibiza and he's been schooling EDM crowds at Ultra Music Festival in Miami since 2004. “We have a very special thing there,” he explained in an interview about the festival. “They give us free reign in everything. The look, staging, sound, what DJs we book, all of it is down to us, and that’s a great thing, and why we keep going back.” Off the success of his stage at Ultra Music Festival, he's taken his Carl Cox & Friends concept to Awakenings, EDC Las Vegas, The BPM Festival, Ultra Europe, Tomorrowland, Amsterdam Dance Event and many more. During his early years as a DJ, where he would regularly play at famed rave institutions like Shelley's Laserdome, Heaven and The Haçienda, Coxy was renowned for expertly playing across three decks. Check out footage (above) of his three-deck mixing style at a rave in 1995. In 2001, Carl Cox began hosting his Global radio show. 16 years and 722 episodes later, Coxy had amassed 17 million listeners each week across 95 different international radio stations. Coxy announced he would be ending his radio show early this year and for his final show he showcased what he called his “guilty pleasures spanning three decades of music” — offering a glimpse at what really moves the techno DJ. 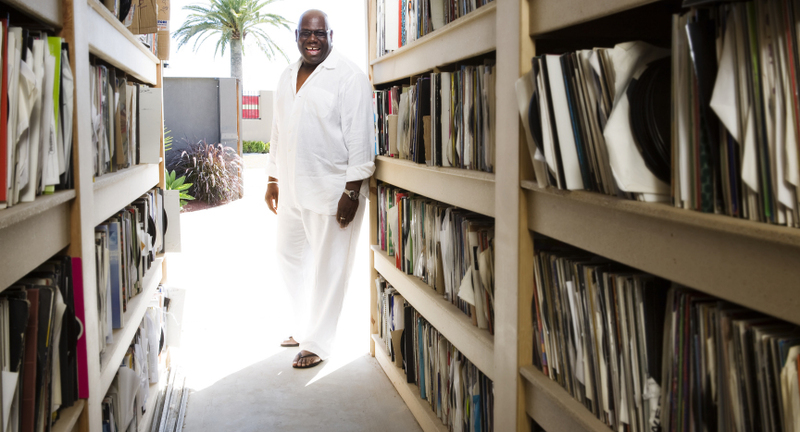 Carl Cox recently admitted to owning 150,000 pieces of vinyl, which he keeps in his three-car garage at his home in Melbourne. "I’ve got a triple garage here in Melbourne, they take up half of that,” he explained in the interview with FACT. “They start in 1968 and end in 2007, when I bought my last record. So they’re all in chronological order — if I fancy going back to 1986, I can stick my hand in and pull out a bunch of records from that time." During an interview with the Big Issue, Cox detailed some of the jobs he did before he became a superstar DJ. "My family first came to Manchester from Barbados in the late 1960s. They were always very working-class people,“ he said in the interview. “Their values made me who I am today. We never had much money. Before I was a DJ, I learned my trade as a scaffolder, before that as a painter and decorator, and I stacked tins of baked beans before that. I was a wedding DJ for 10 years. I knew I had to work, and work hard, if I wanted to buy records." 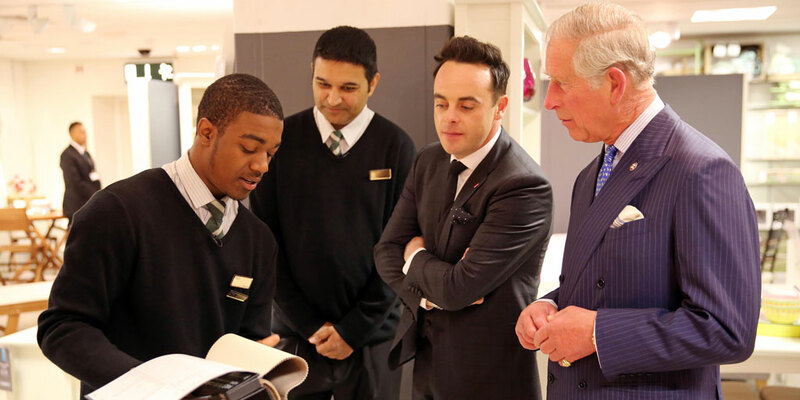 If it wasn't for Prince Charles' The Prince’s Trust, Carl Cox might not be the international, jet-setting DJ he is today. "I had an enterprising approach early on. At 24, I got £1000 from The Prince’s Trust to buy my own DJ equipment and start my own small business," he told the Big Issue. "This was a big turning point. I had to cross that bridge and make the decision of what direction I was going. I could earn £500 a week as a scaffolder or £60 a week as a self-employed DJ. I would tell my younger self that you are taking a big step back to move forward. I’d say, your dad will tell you that you’re dreaming, that it would amount to nothing. But he’s from a different time. Your mum will see what you’re about as a person, where you’re going. I would tell the young Carl, stick to your path." Carl's 1991 debut single for Paul Oakenfold's Perfecto label, 'I Want You,' gave him a Top 30 hit in the UK and a Top of the Pops appearance. Two more singles also made the charts but Carl was a reluctant pop star. Following his brief chart success, Cox retreated into the club world that had nurtured him and embraced the underground sounds of techno. "Techno drives home somewhere," he says of his core music. "It takes you to an element of surprise, not knowing where you're going. It's scary but wonderful at the same time." Want more? Check out our DJ Mag UK cover feature with Charlotte de Witte, techno’s next-gen superstar.